Originally published in 1959, Yes Mrs. Williams has long been unavailable. In recalling one of the “determined women” in his life. 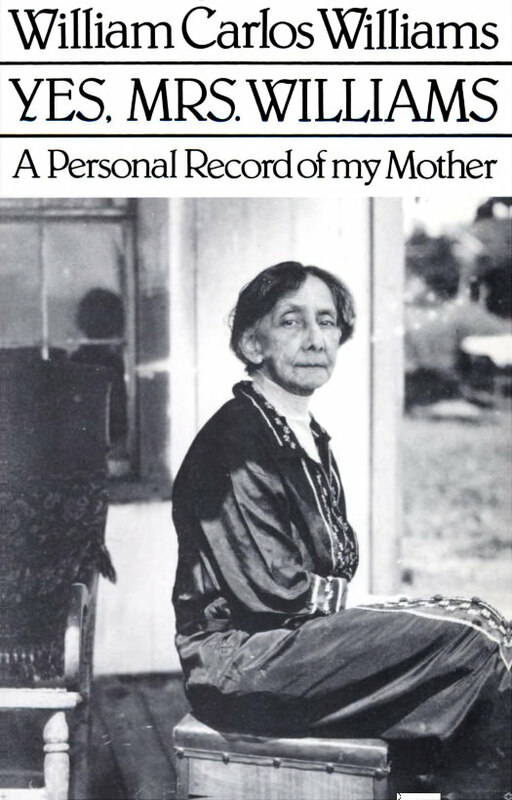 William Carlos Williams, the quintessentially American poet of this century, does not write about his mother so much as recreate her. An experimentalist in prose as well as poetry, Williams records the “talk” of Raquel Hélène Rose Hoheb Williams, capturing the contradictions of this Spanish-speaking, Puerto Rican-born, Parisian-trained artist turned New Jersey wile and mother, her strength and cantankerousness, her vitality and sense of failed purpose. For this first New Directions paperbook edition, Dr. William Eric Williams, son and grandson, has written an illuminating foreword that includes newly discovered Williams family letters.